For individuals with conductive or mixed hearing loss who are unable to wear traditional hearing aids due to malformation or chronic ear infections, or those with single-sided deafness, there are alternative hearing systems available. Most of these systems (i.e.,bone-anchored hearing aids) consist of an implanted component on the side of the head and an external microphone/transmitter that attaches to the implant. Physicians and audiologists associated with Medical Center ENT Associates provide assessment of candidates for bone-anchored hearing aids. 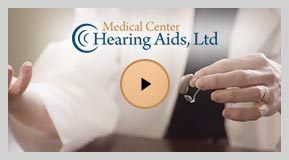 Implantation surgery is performed by the ENT physicians, and post-surgical audiological services are provided by Medical Center Hearing Aids.